Home / ASTER Total / Aster Total 1600mAh Kit / Aster Total Kit / Eleaf ASTER Total / About Eleaf ASTER Total 1600mAh Kit ! Modernized and redefined, the Aster is a new skillfully engineered product with a fashionable metallic appearance. Powered by an internal 1600mAh battery, it is capable of direct voltage output. It also features the ability to charge your battery through the convenient side charging port. With an ergonomically redesigned shape, you can hold it in the palm with ease and comfort. 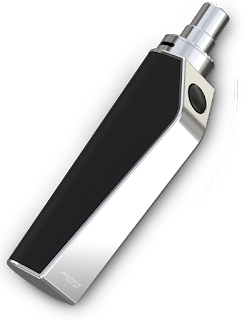 Integrated with a 2mL tank, the Aster is a one of a kind all in one unit with unique styling and ergonomic efficiency.